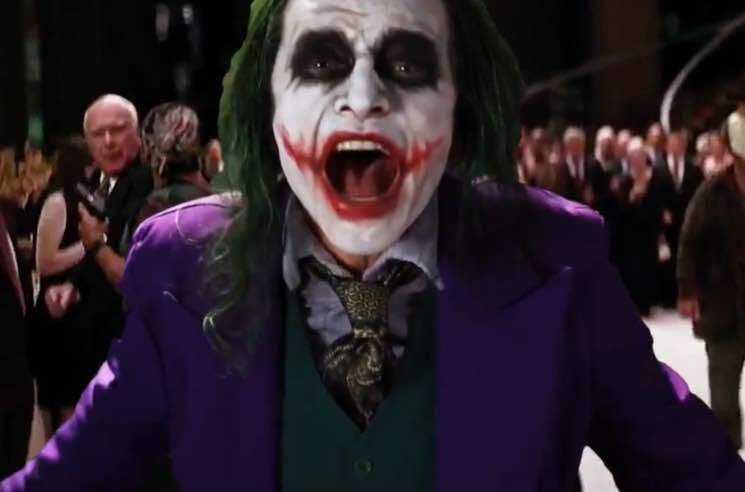 The Room mastermind Tommy Wiseau tried his hand at one of cinema's greatest movie villains in a recent audition tape for the role of the Joker in Todd Phillips' upcoming origin story — and someone just made his dream come true. The geniuses at the Bup YouTube Channel have edited Wiseau's audition footage into Christopher Nolan's iconic Batman film The Dark Knight. Sure, Heath Ledger won a posthumous Oscar for his portrayal of the Joker, but Wiseau's performance is at least equally memorable. Watch the horrific editing experiment down below. It's not the first time fans have edited Wiseau into his dream role, either. Someone inserted him into Star Wars after the actor/director begged for a part on Twitter.